Very 1970s. I have seen a lot better. Well, the face has some nice character (very GW 90s orc-like). The oversized hands, weapons, and nails are meh, but match the aesthetic. Tails is very plain. Axe and muscular anatomy are serviceable. The textured wings (looks like crumpled foil) and base are definitely subpar. 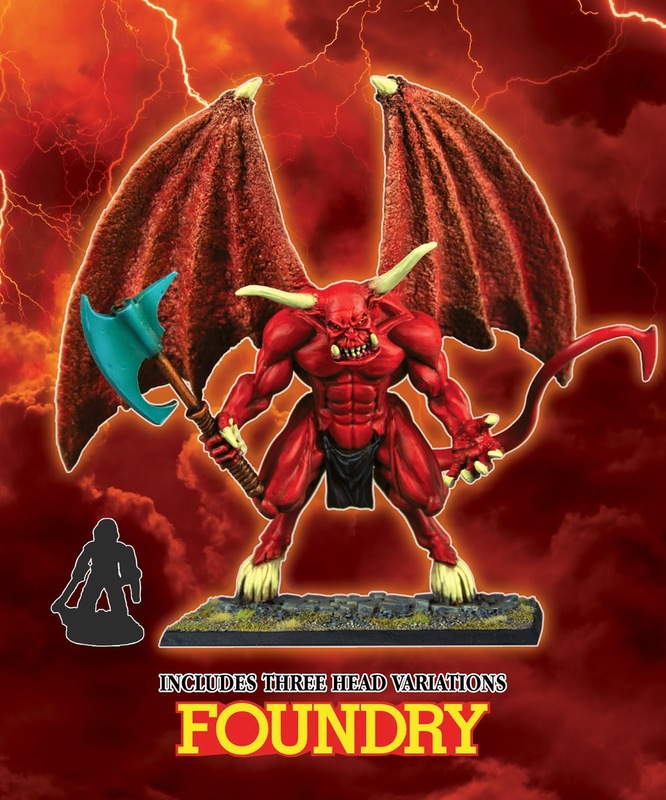 Hard to see the market for this with the offerings from other manufacturers in humanoid demons.